Who doesn’t like butterscotch? 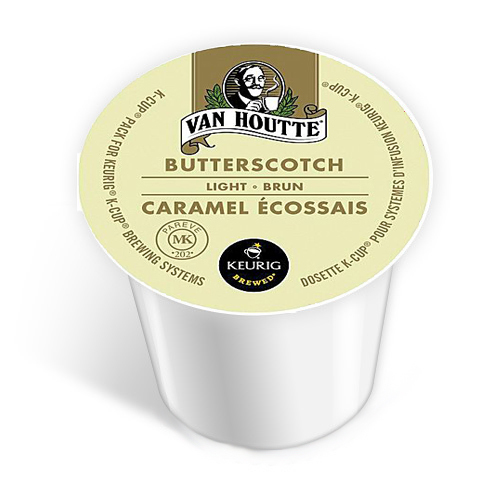 With Van Houtte’s Butterscotch flavoured coffee, you can take your love of butterscotch to the next logical level by blending the magic of coffee with the sweet goodness of butterscotch. A nice desert coffee, it’s good served alone or with whatever tasty treat your heart desires. Throw in a splash of milk to add a creamier, more butterscotch-like texture to it, or just leave it black and enjoy this coffee straight-up. The choice is entirely yours. This is a good coffee if you're looking for a flavoured coffee that you don't want to add sugar to and when you're really just in the mood to 1 or 2 smaller cups... Unless you absolutely love butterscotch. Then you may wanna just mainline it.